You can’t imagine a wedding without wedding music entertainment. It’s as important as the food, guests, and even the vows. We’ve got such an emotional connection to music that it can change the way we feel instantly. That makes wedding song selection a big and important task. If one song can fill the dance floor, another could clear it. Here’s our guide to getting wedding music entertainment right. Some grandmas love EDM, and some teenagers love the Four Tops. It’s impossible (and unwise) to assume what kind of music someone will like based on who they are, so variety is the best way to keep as many people dancing as possible. 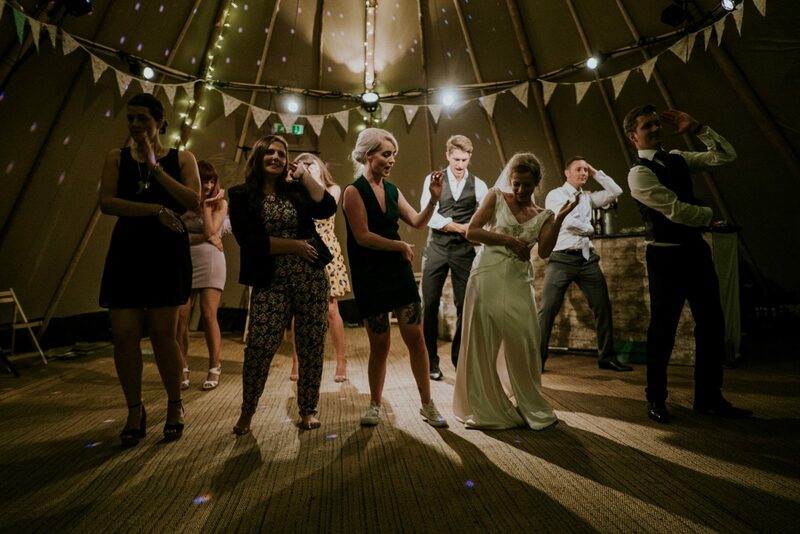 If you search ‘party’ or ‘wedding’ on Spotify, you’ll find tonnes of playlists featuring Motown classics, 90s cheese, and the 80s most loved hits. Lots of artists, genres, moods, and tempos is the way to do it. Your guests’ enjoyment is obviously important, but it’s also your day and full of significance. If you met your partner at a gig, have an inside joke about a band, or there are songs that instantly spark a memory and feeling for you both, they’ve got to be played! 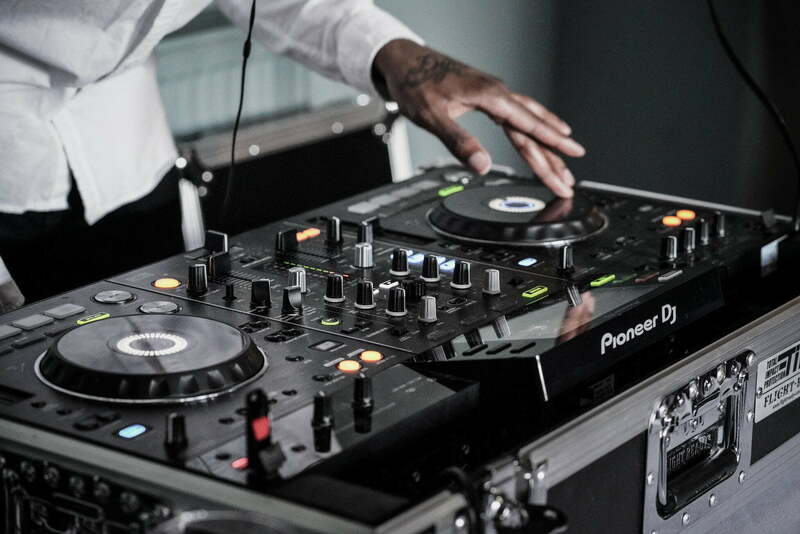 Put in a special request with the DJ, or add it to your playlist if you’re doing it yourself. This might sound like it flies in the face making it personal, but the key is compromise. A metalhead’s playlist which doesn’t make room for other genres could alienate a lot of your guests and leave the dance floor looking pretty sad and empty. Be true to yourself, but remember other people’s tastes too. People obviously care about the look of their wedding and the themes they choose. Even the colour of the seat covers is really important! Because of all that attention to detail, it’s easy to think cheesy and naff songs don’t have a place in your perfectly organised wedding. In actual fact, people love the Macarena, Cha Cha Slide, and Black Lace’s Agadoo. And if you can’t enjoy some coordinated bad dancing at a wedding, when can you?! Time it right (when everyone’s loosened up) and you’ll get a passionate response. We don’t often get to enjoy music from another time played live. We can listen to crackly recordings, or imagine what it would have been like, but we rarely get close to the real thing. Live music is really impactful and emotional, which is why going to see an artist live is so different to listening to them on headphones. Silk Street Jazz will make sure your wedding party swings. You can hire authentic New Orleans jazz musicians to play you out of the ceremony, start the party, or jazz up the drinks reception. They take requests too! Talk to us about booking, lineups, and song selections. We’d love to perform at your wedding!